The Sagarmatha deal never should have made it to the PIC's decision table, but after it was, former CEO Dan Matjila allegedly made his own agreement with the company that would have probably misled other investors. The Ayo Technology Solutions transaction was a “game changer”, the PIC’s general manager for listed investments, Lebogang Molebatsi said on Tuesday. In December 2017, the PIC waived the necessary due diligence process and invested R4.3-billion in Ayo, taking 29% of the company for R43 a share. Staff who worked on the deal thought they were overpaying, as Ayo recently sold the same shares to a BEE entity for R1.50, but were not permitted to negotiate the offering price. Molebatsi still signed the deal. He told the PIC Commission of Inquiry, sitting in Tshwane, that he was scared of being accused of insubordination by then-CEO Dan Matjila, who was clearly in favour of the investment. 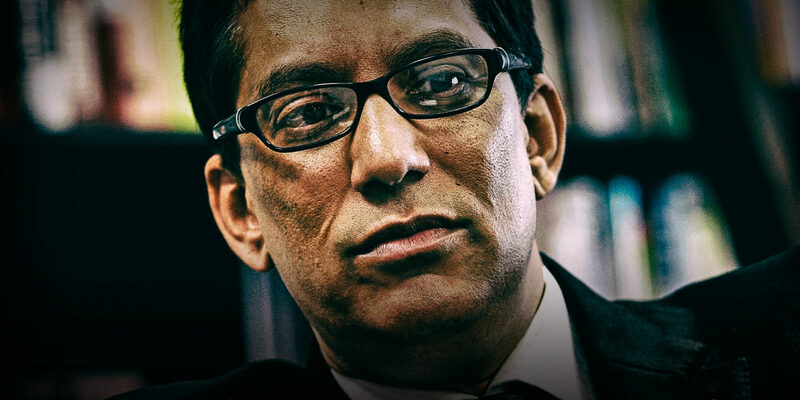 Ayo is largely owned by Sekunjalo Investment Holdings, which is owned by controversial businessman Iqbal Survé. One witness at the PIC Inquiry has testified that Survé and Matjila are friends. Molebatsi thought it was odd when another Sekunjalo-owned company, Sagarmatha Technologies, sought PIC investment shortly after the Ayo transaction. This time the PIC’s deal team resisted while Sagarmatha and Matjila apparently tried to push it through, which could have potentially mislead other investors. Molebatsi said Ayo was “already a difficult investment to make” and to look at another Sekunjalo-related transaction so soon was “very strange”. Before the Ayo transaction, the PIC’s unlisted portfolio had already loaned Survé and Sekunjalo’s Independent Media Group around R1-billion. “Effectively there is exposure to an individual. Once again it adds to the risk concerns,” said Molebatsi on Tuesday. Ayo and Sagarmatha were both exposed through Sekunjalo and Survé to the loss-making Independent Media. Sagamartha wanted to raise R3-billion in its initial public offering (IPO) with an asking price of R39.62 per share. Part of that money would be used to pay the debts Independent Media had with the PIC. “This would in effect mean that the exit of PIC would be funded by the PIC,” said Molebatsi. Molebatsi’s team didn’t believe the Sagarmatha offer should be presented to the portfolio management committee (PMC), but, “It was obvious that the CEO wanted this transaction to be presented to PMC”. It was the first time he had seen the deal team instructed to take an investment proposal to the PMC. Learning from the Ayo transaction, Molebatsi said he and his team decided to highlight the risks in Sagarmatha, suggest safeguards, and propose an offer at a price that might yield value – R7.06 per share, far below Sagarmatha’s asking price of R39.62. In April 2018, after a back and forth, the PMC eventually agreed to buy Sagarmatha shares at the lower price. Matjila, however, had then continued negotiating with Sekunjalo, said Molebatsi, and they came up with their own deal. “It’s obvious that Sagarmatha desperately wanted to get the R3-billion from the PIC and therefore they were willing to structure a deal in a way that they would get the R3-billion,” Molebatsi said. Matjila and Sekunjalo agreed that the PIC would subscribe to Sagarmatha’s listing price of R39.90 for R3-billion of shares, but the PIC would get a call option of R1 on enough shares to make its average share price R8.50 per share. “In effect, the PIC would be receiving exposure to Sagarmatha at a lower price (R8.50) than the IPO price on the same day that other subscribers would be paying the full price (R39.90),” said Molebatsi. “It’s not normal. I’ve never came across something like that,” Molebatsi told the inquiry. He said that unless the deal was disclosed to other investors it wouldn’t be “correct”. “I have never seen such a transaction,” he said. “If there was disclosure, why would I be buying shares at R39 when the PIC is getting exposure at a lower price on the same day?” Molebatsi asked. The deal never eventuated. In April 2018, the Johannesburg Stock Exchange cancelled Sagarmatha’s IPO as it failed to comply with the Company’s Act and release its provisional results. The PIC’s R4.3-billion investment in Ayo is currently in court. The Company and Intellectual Property Commission (CIPC) has instructed the PIC to recover the money as it said its directors didn’t act in the institution’s best interests in making the investment. Survé and his related companies, Sekunjalo, Ayo and Sagarmatha, have repeatedly denied wrongdoing. Ayo is fighting the CIPC’s instruction and on Tuesday the PIC and CIPC agreed in court to postpone the date the money must be collected, which was originally set for Tuesday. As a signatory to the Ayo deal, Molebatsi may face disciplinary action and declined to comment on the potential sanctions against him. He called for the PIC to segregate the roles of the CEO and CFO from investment decisions. In the private sector, he said, they don’t sit on investment committees and hold specialist investors accountable – but do not influence their decisions on transactions. Matjila is expected to appear at the commission of inquiry but with the list of witnesses closely guarded, it’s unclear when.